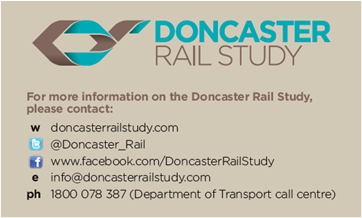 The Eastern Transport Coalition is keen for community members to provide comment to Doncaster Rail Study team about the 3 themes emerging from the work completed to date by the study team. This is your opportunity to have your say about this important and well overdue public transport infrastructure for Melbourne's east. Orbital Network: a rail connection from Doncaster Hill to Box Hill Station, utilising existing rail connection to the CBD. This could become the first step in a long term orbital rail network for Melbourne. Over the next couple of months the Doncaster Study Team will be listening to your ideas and comments, you can find out more by visiting the website or facebook. Today I attended the Practice Day Hearing at VCAT, for the McDonalds, Tecoma appeal, to see what orders the tribunal would make in terms of how the appeal will run later this year. 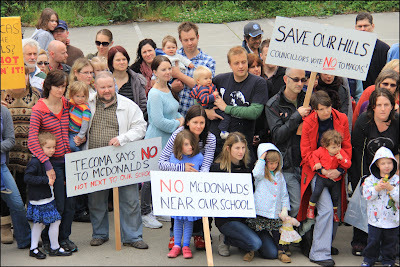 The good news is that the community has been granted 3 days to present their case against McDonalds. This is a great result. Claire Ferres Miles spoke for the No Maccas in the Hills group and put forward a number of requests including asking the tribunal for 20 community members/groups to speak as well as 5 experts. Deputy President, Helen Gibson, granted the community their request and has set aside 3 days of the hearing for them. The Deputy President has also set aside 2 days for McDonalds and 1 day for council to present, so in total six days have been set aside for the appeal hearing, which starts Monday 6 August. No Maccas in the Hills asked for a number of things, including the more time for community to lodge their statement of grounds (objections) due to the timing of notification by McDonalds over the Christmas holiday period. Deputy President Gibson felt that their had been adequate notification and that the community had had good opportunity to participate. No Maccas in the Hills also asked for the venue to be moved closer to home due to the high level of community interest. Deputy President Gibson said all hearings were conducted at 55 King Street, due to the recording facilities in place. She did say she would request a larger hearing room in the complex to accomodate community who wanted to attend in the public gallery. In relation to the request for advance notice of scheduling speakers, No Maccas in the Hills were told it's up to the community to organise who's presenting when, so at least there'll be ample opportunity to coordinate people who need to take time off work or other duties to present the case on behalf of the community. The request in relation to material being circulated to all 304 parties was declined as all information is available at the council offices. I'll also be making sure that the information is at council's Community Links in Upwey and Monbulk. No Maccas in the Hills request for advance circulation of expert reports was also declined. Deputy President Gibson was not persuaded to change the timeframe (10 days is the prescribed timeframe) citing the unlikely submission of amended plans and doubt that the witness material is likely to depart from that already in the public arena. She felt the case wasn't unusual enough to warrant a change. It's terrific to know that the community has been allocated ample time to present their case. Don't forget to mark 6 August to 13 August in your diary if you want to attend the appeal as a public onlooker, you can come for a day, a week, an hour, it would be great to see you there. The Victorian Local Governance Association (VLGA) welcomes the Government's decision to retain the Charter of Human Rights and Responsibilities and its commitment to protecting the rights of all Victorians. The VLGA provided a submission to the Review of the Charter of Human Rights and Responsibilities Act 2006, based on consultations with our members. The VLGA also gave evidence at the Scrutiny of Acts and Regulations Committee. The VLGA believes that the Charter has made a real difference to the lives of many Victorians and has had a positive impact on the policies and practices of local governments. Fourteen VLGA local government members made individual submissions to the review. Their submissions included case studies that showed that human rights are at the centre of local government business from grass roots service delivery to accessible transparent governance. Human rights cut across and underscore local government policy and programs in areas such as affordable housing, transport, environmental sustainability, people from migrant and refugee backgrounds, people with a disability and community engagement. The VLGA has received strong and widespread support for the existence of the Charter, and a strengthened focus on human rights in local governments and local communities across Victoria. 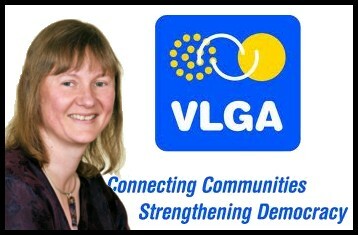 Many, including the VLGA, would like to see greater focus for resourcing grass roots measures to promote human rights. Human rights go to the core of our place as a democratic and socially inclusive society where people and communities can thrive and flourish. The Eastern Transport Coalition is encouraging community members to respond to the Rowville Rail Study Stage 1 Draft Report. But don't delay, submissions are due 27 April. You can get a copy of the draft report or the executive summary here. The Rowville Rail was first planned in 1969 and is still undelivered. A study undertaken by the Knox City Council in 2004 showed that Rowville Rail could carry 2,350 passengers per hour, effectively removing an entire lane of traffic off the Monash Freeway. With connecting bus services the Rowville Rail could service around 100,000 residents as well as thousands of students at Monash University. Now is the time for you to make sure the Rowville Rail Study team know what you think about the draft report. You can use the online feedback form here, email submissions@rowvillerailstudy.com.au or mail to Rowville Rail Study, PO Box 312, Flinders Lane, Melbourne 8009. 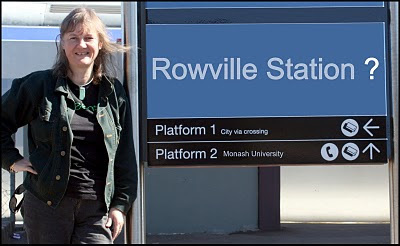 For some history on Rowville Rail you can click here for my blog archive. Local hills transition town group, Transition Sherbrooke, is holding a Power to the Community event in celebration of Earth Hour. 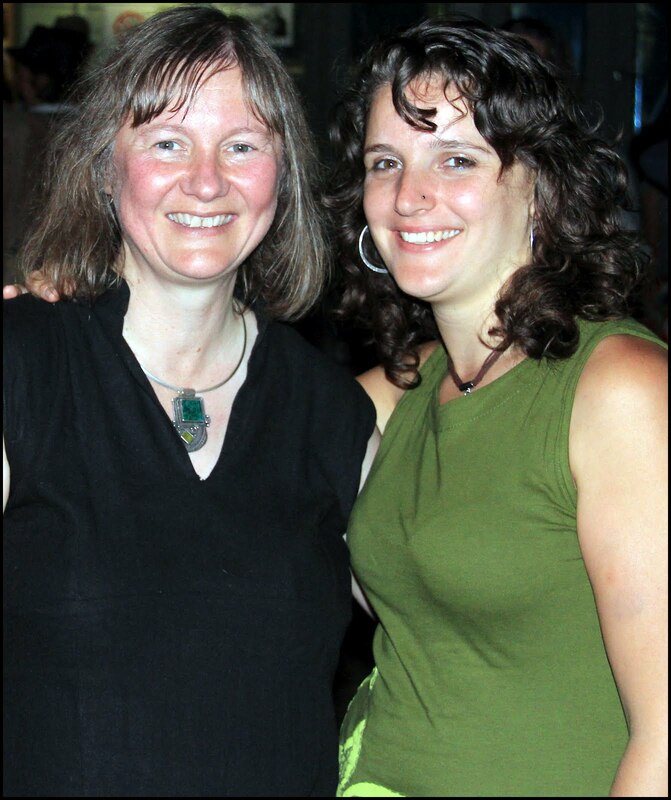 Starting with a shared community dinner and followed by a presentation by local, Prue Licht, who will share her personal experience of her visit to Cuba in 2011. The evening will conclude with a screening of The Power of Community - how Cuba survived peak oil. The Eastern Transport Coalition has thrown its support behind a call from the Australian Council for Private Education (ACPET) for concession fares for international students. Integrated and affordable public transport is crucial to the continued growth of the eastern region. Education, particularly tertiary education, is a key industry in the region and good public transport options are crucial to its continued strength. ACPET have just released a paper which shows that 89% of international students surveyed would not recommend studying in Victoria because of the lack of public transport assistance. The report estimated that paying full fare added around $30 per week to the living costs of overseas students. The ETC and communities in Melbourne's east have lobbied for years for integrated and affordable public transport to ease congestion and provide better links to activity hubs, tertiary institutions and other facilities. According to Regional Development Australia, international education is Victoria's highest export, valued at more than $5.5billion in 2010. Modelling carried out by ACPET estimated that the cost of providing international student concessions would be $93million a year. Inadequate public transport is a major challenge for students in Melbourne's east, particularly international students, and requires significant investment in the coming years. 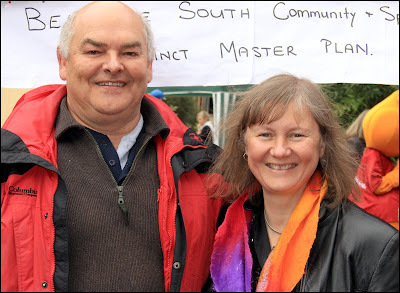 Congratulations to organisers of this year's Selbyfest. What a great celebration of all things Selby and the hills. Leanne Hall and her organising committee did a great job, there was something at Selbyfest for everyone. 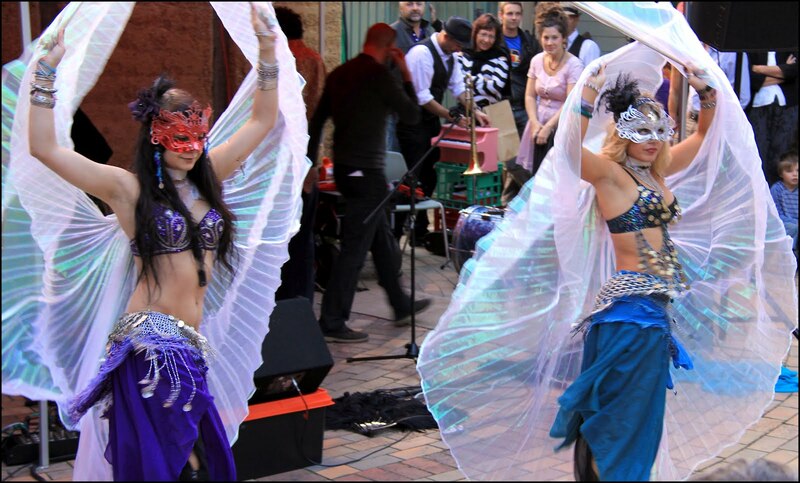 It was a showcase of local talent, food, art and craft, entertainment, fashion - it was wonderful. I'm proud to be able to support such a great community festival. Selby Community House volunteers were out in force offering raffle tickets, short courses or a cup of chai. Selbyfest got some great support from local businesses including Hair Down There and Bill's The Butcher in Belgrave. 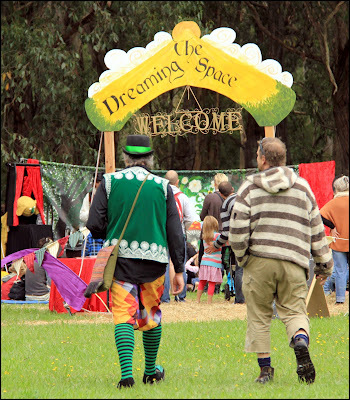 The Dreaming Space was a great place for younger festival goers to see some magic, visit storytime and be enchanted with the day's entertainment. Selbyfest offered local groups the chance to fly the flag. 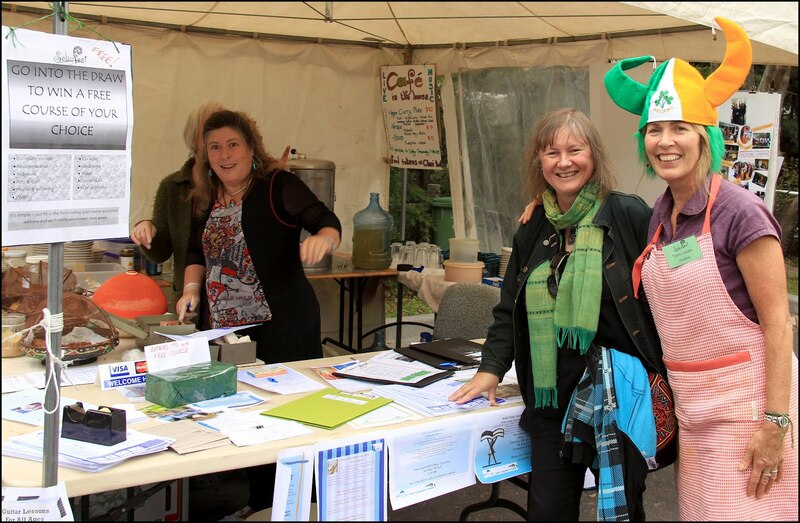 Pictured here is the ever dedicated members of Southern Dandenongs Landcare Group, encouraging people to improve their local environment. Part of the day's activities included the World's Greatest Shave fundraiser for the Leukaemia Foundation. 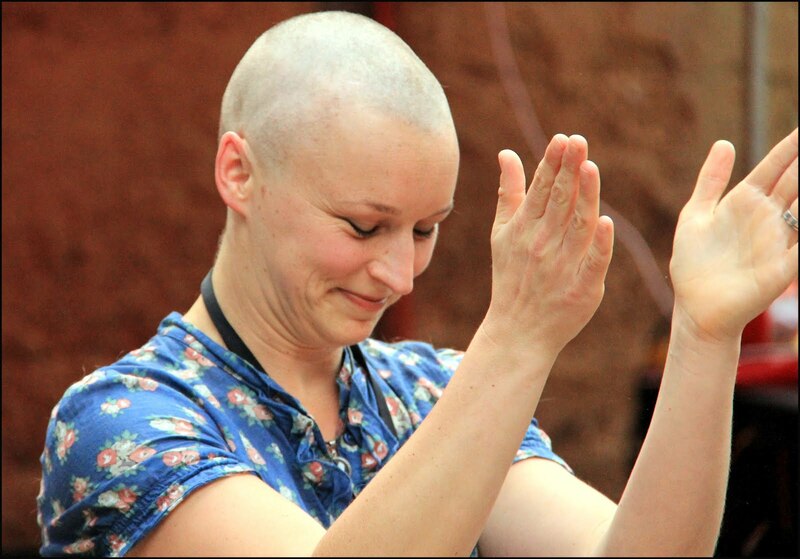 Felicity Hostettler's commitment to the cause enormous, her curly locks shaved off to raise money for this important fundraiser. 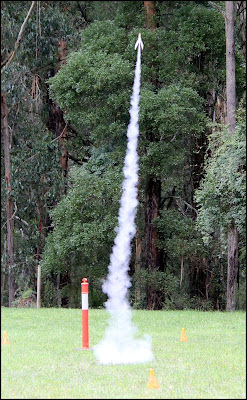 Children and adults alike were entertained by the rocket launch, a terrific event that had everyone talking. 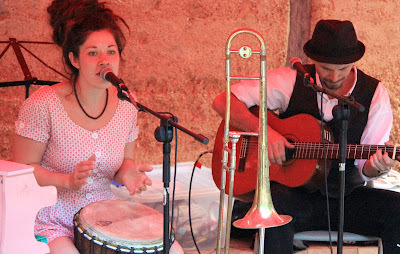 Selbyfest had no shortage of local entertainers, Lily and King were one of the crowdpleasers. It's great to see their career take off and hear them on radio stations like 3RRR and of course our very own community radio station 3MDR (97.1). The fashion parade was a great hit, it's great to see local fashion being modelled by locals! The bellydancers were another display of the diverse talent in the hills. They kept the audience mesmerised through their performance. 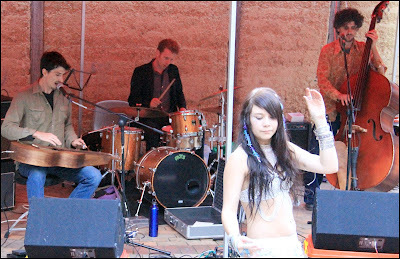 Local muso's The Jed Rowe Band were in fine form. Real crowd pleasers, everyone was up and dancing, including one of the bellydancers. 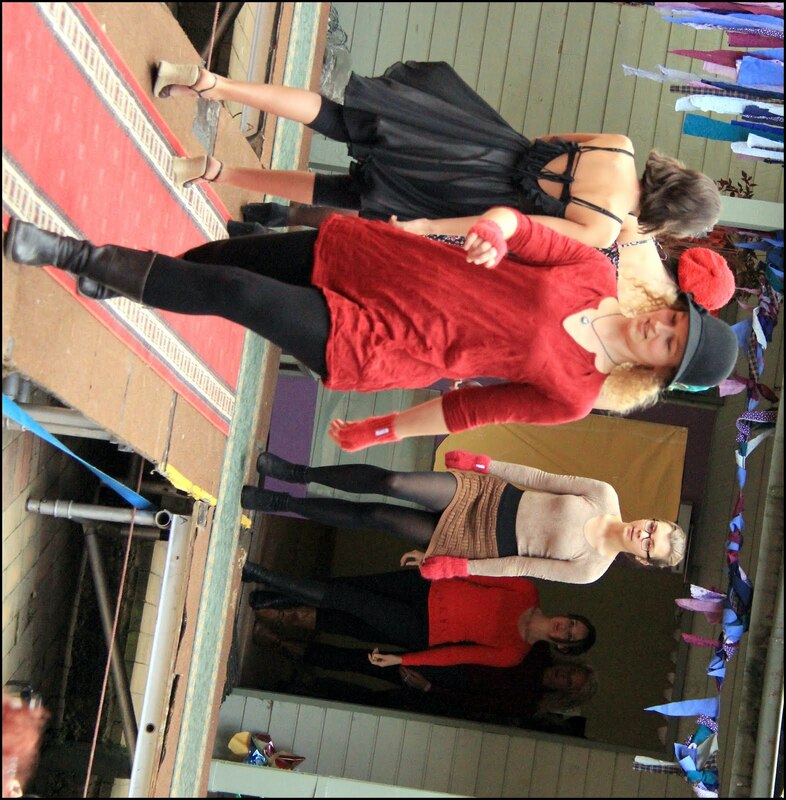 The Fashion from the Forest parade featured six local fashion designers/retailers, who did a great job. Buy local, support local is an important message as part of Selbyfest. If you want to read more about Fashion from the Forest click here. 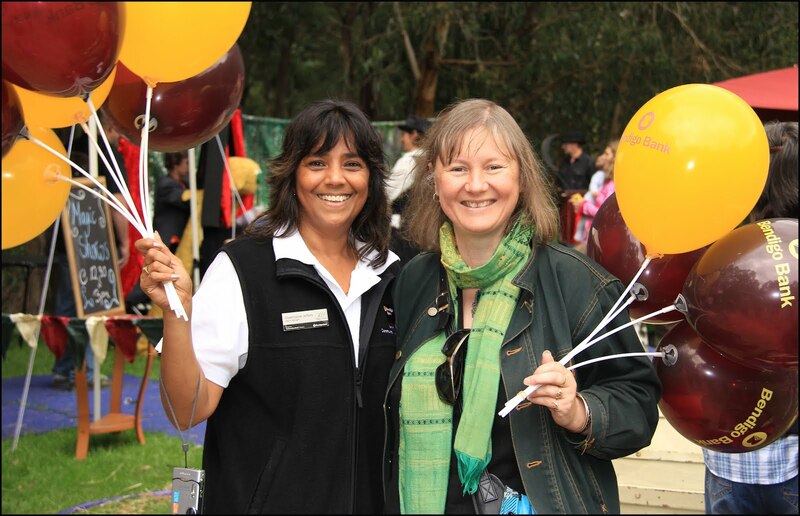 Bendigo Bank is a major sponsor of Selbyfest along with the Shire of Yarra Ranges. I'm very proud to be able to support such a wonderful community festival through a Yarra Ranges Council Community and Festivals grant. I'm already looking forward to next year's Selbyfest! The community flocked to the Staxafun Fete at Belgrave South Primary School today. An annual event, it's always a favourite for locals. 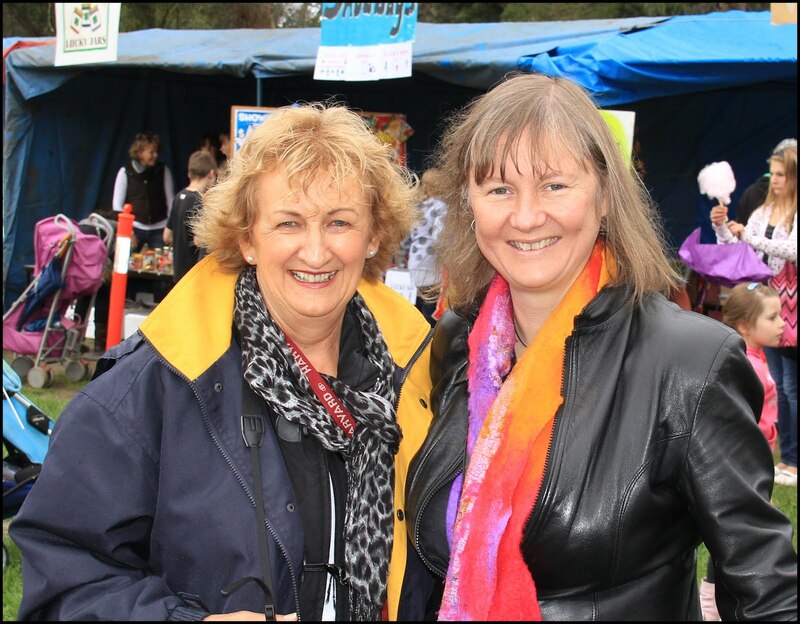 Fran Luke, school principal, was very pleased with the turn out for the day, busily catching up with school families and visiting community members. It was terrific to see Ian Bakens, convenor of the Belgrave South Recreation Precinct group, there to talk to interested community members about council's draft masterplan for the area. Council is currently seeking community comment on the masterplan, to get a copy click here. The masterplan details the opportunities and constraints for the current recreation reserve and talks about potential enhancements to the site including the clubrooms, the sports reserve, playground and picnic area, roads, carparking and other infrastructure. 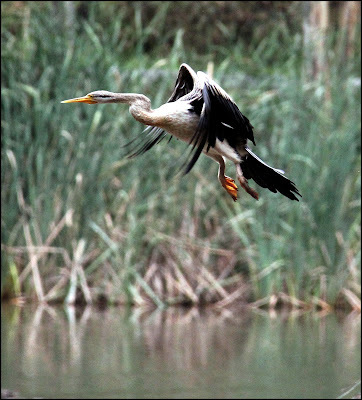 If you're interested in the reserve and what happens to it in the future I'd like to hear what you think of the masterplan. I encourage you to have a look and let me know by emailing s.dunn@yarraranges.vic.gov.au. 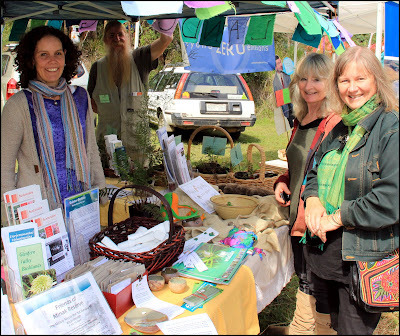 The Yarra Ranges Council is very supportive of community gardens that promote active and engaged communities, encourage sustainable living and build community capacity and resilience. This is me and Kevin at the community garden in Tecoma, a thriving site, Kevin is one of the keenest recyclers I've ever come across. 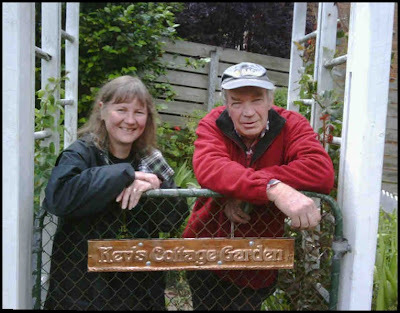 To support residents to learn more about community gardening council has developed a new page on our website, Community Gardens (under the Greener Living menu). The page provides a one stop shop to help people understand the process for establishing a community garden and which areas in council they can contact for help. It also provides a list on online resources as well as locations of community gardens throughout the Shire. To find our more click here. The Victorian Local Governance Association (VLGA) welcomes the move by the Government to ban moneyless Electronic Gaming Machines (EGMs) in Victoria over the next decade. Moneyless EGMs fall into a loophole for gambling regulation, as they do not pay out cash prizes, so are not covered by the Gambling Regulation Act 2003. Whilst they look identical to conventional pokie machines, they have been modified so no cash winnings are paid. Our concerns about moneyless EGMs is that they could be placed in shopping centres and children's amusement centres and can act as a form of "gambling on training wheels" for children. Moneyless pokies can normalise gambling for young people. Wider community concern about this issue is high with the outrage expressed abouts sports betting advertising at sports venues and television recently. The increase in poker machine numbers, their concentration in disadvantaged areas, the rise in problem gambling, the lack of council planning control over pokie venues, the negative economic impacts and the lack of independent research in the impacts of gambling have all become concerns for local government. The Local Government Working Group on Gambling (LGWGOG), convened by the VLGA, has also heard concerns regarding other pokie-like forms of gambling that might slip through regulation loopholes. The group wrote earlier this year to the Responsible Gambling Ministerial Advisory Committee and the Minister for Gaming on the issue of Lucky Envelope Machines or Lucky Ticket Vending Machines. These machines are considered a minor form of gambling so their number and location are not regulated by the Victorian Commission for Gambling and Liquor Regulation. The industry is branching out in many different forms of gambling as new technologies arise and it is difficult for regulators and policy makers to stay on top of it. Any form of gambling that normalises gambling for minors should be regulated and the VLGA commends the state government for this action. Selbyfest is a wonderful community event, in it's second year, the community came out in droves to explore, discover, have fun in our local community. There was truly something for everyone. 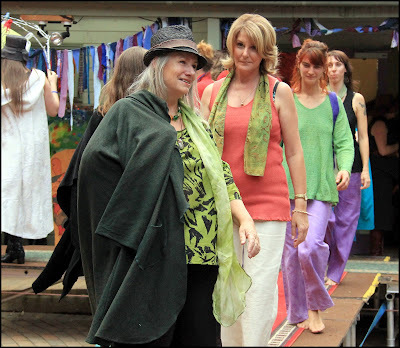 One of the highlights of Selbyfest is the Fashion from the Forest fashion parade. Featuring clothing retailers from the local area, the event was a big hit with festival goers. 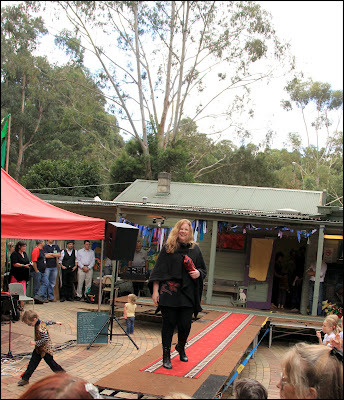 It's terrific to see local fashion on the catwalk, the MC encouraging locals to shop locally. We have some great retailers in the hills, with an interesting and diverse range of styles and designs. 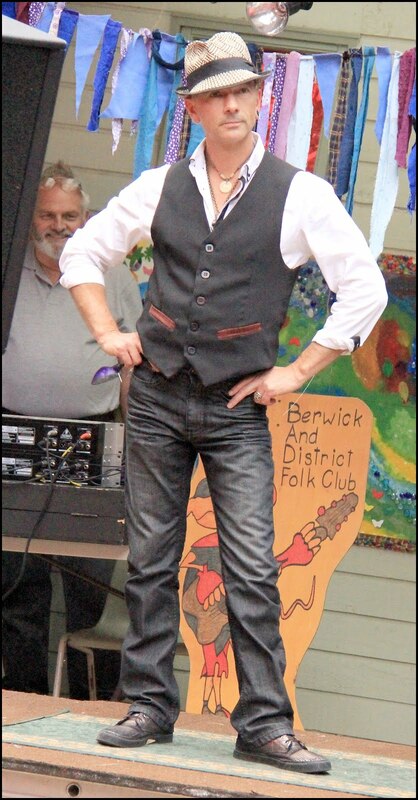 It was also great to see familiar faces strutting their stuff on the catwalk too. Fashion from the Forest, a wonderful part of Selbyfest, their ultimate message is about keeping it local. I encourage you to support our local clothing retailers. 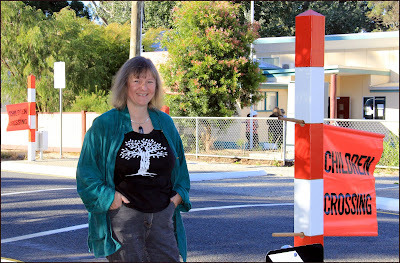 It's terrific to see the new school crossing in operation at Menzies Creek Primary School. 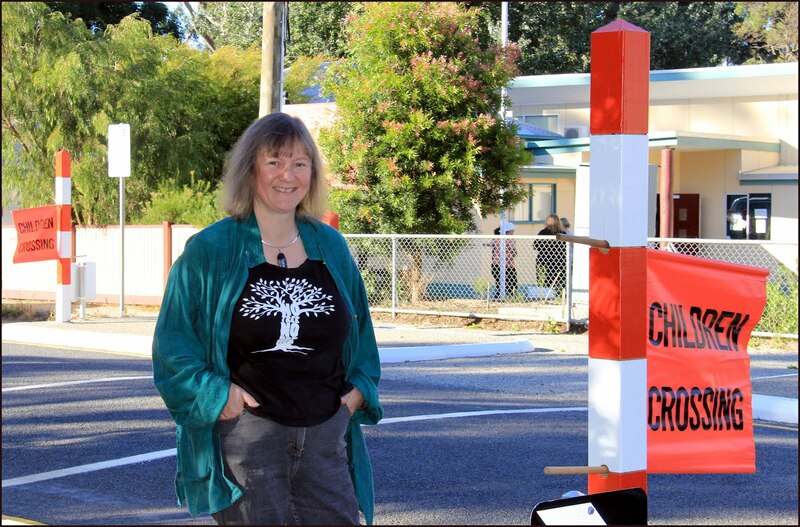 Yarra Ranges Council is not only responsible for installing new crossings, we employ our wonderful crossing supervisors as well. The crossing provides students with an added level of safety as they cross the road to get to school. The installation of the crossing is complimented by an upgraded footpath network in the area to encourage walking to school. It's great to see parents and students walking to school, I'm pleased to see this project delivered in the Lyster Ward. At this week's council meeting I moved a motion to support a national Container Deposit Scheme (CDS) by way of a council submission to the current consultation process underway. It was terrific to get the unanimous support of councillors. The motion was in response to a letter we'd received from the Australian Local Government Association highlighting an opportunity to submit to the Consultation Regulation Impact Statement on Packaging as a result of work done by the COAG Standing Council on Environment and Water. 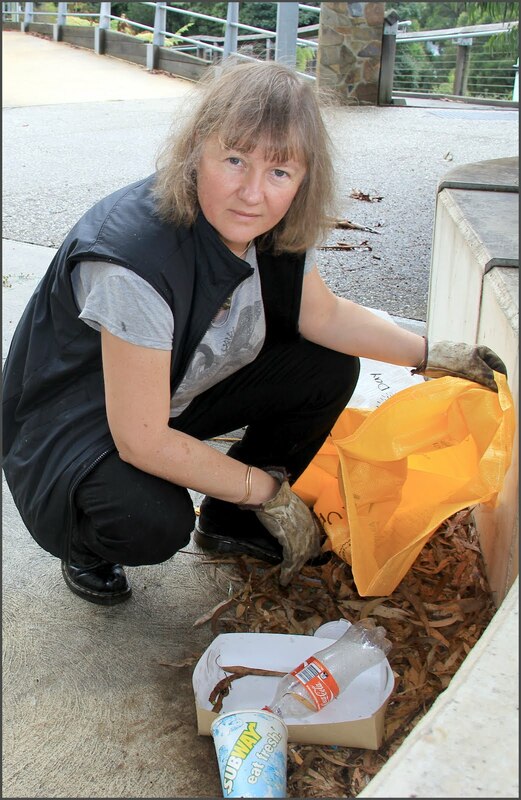 In speaking to the motion I talked about the recent Clean Up Australia Day where once again drink containers featured heavily, it was reported to me that 60% of rubbish collected locally was drink containers. Yarra Ranges has had a long history of supporting the introduction of a Container Deposit Scheme. 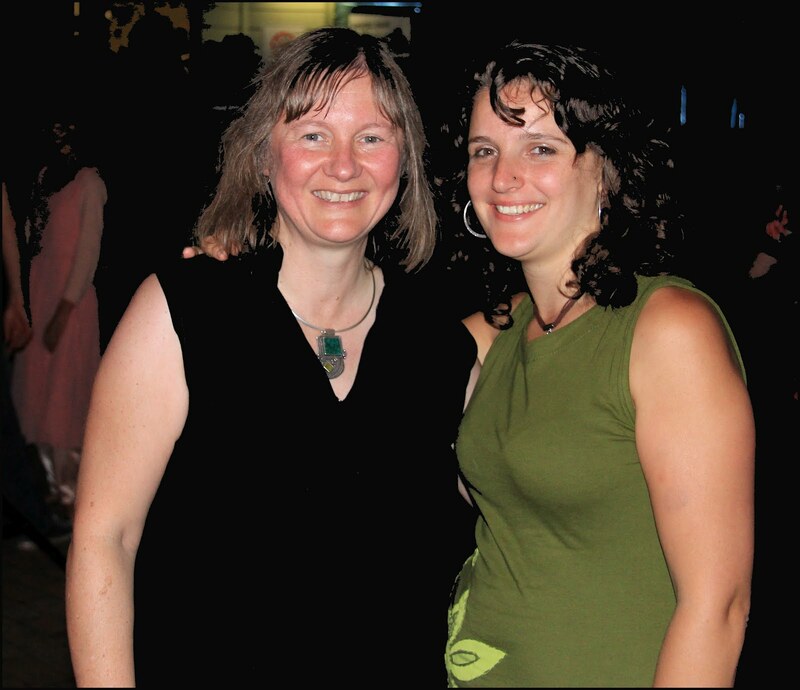 - On 12 February, 2008, Yarra Ranges resolved to support a CDS. - In July 2008 I presented to the Inquiry into the Management of Australia's Waste Streams held by the Senate Standing Committee on Environment outlining council's support for a CDS following our written submission to the process. - On the 8th March, 2011 council reaffirmed its support for CDS by writing to both the Federal and State governments encouraging the introduction of a CDS. - In June, 2011, member councils of the MAV supported the introduction of CDS for Victoria based on a motion put forward by Yarra Ranges. 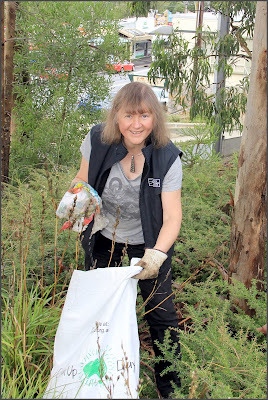 - In October 2011 Yarra Ranges provided a submission supporting the Environment Protection Amendment (Beverage Container Deposit and Recovery Scheme) Bill 2011. - In November 2011 I presented to the Standing Committee on Environment and Planning Legislation Committee, subcommittee on the Environment Protection Amendment (Beverage Container Deposit and Recovery Scheme) Bill 2011. The motion I was seeking support for was consistent with council's past resolutions on the issue. I talked about the South Australia experience, the fact that the scouts there earn $9million per annum from their CDS, the fact that the recovery rates in SA are much higher than Victoria. I even mentioned that if a small nation like Kiribati can do CDS then surely we can manage as a nation to introduce a CDS. There are significant benefits to council, particularly in relation to reducing costs in cleaning out street drainage pits, gross pollutant traps and public bins. There'd be savings on kerbisde recycling due to the increased value of containers that remain in the bins. There's enormous potential for community fund raising as well as income for individuals. A CDS would see a greater incentive for recycling by the hospitality industry and at events and festivals. Material would be diverted from landfill and there's the environmental benefits of reduced greenhouse gas emissions and reduced water consumption. It is important the Yarra Ranges Council continues to have a voice in these matters on behalf of our community. I'm pleased to say councillors supported the motion unanimously. Don't forget you can also submit to the Consultation Regulation Impact Statement on Packaging, if you want to learn more click here, submissions close 30 March, 2012. 1. A submission be made to the COAG Standing Council on Environment and Water commenting on the Packaging Impacts Consultation Regulation Impact Statement. 2. The submission highlight the benefits to Yarra Ranges Council of a Container Deposit Scheme to reduce waste to landfill and the associated costs to Council. The CFA have advised that the Declared Fire Danger Period (FDP) and associated fire restrictions for Yarra Ranges will draw to a close from 1am Monday 19 March 2012. This means that residents will be able to burn off in the open air from then on, in accordance with the Yarra Ranges Open Air Burning Local Law. Further information relating to the Council fire restrictions can be viewed on the Yarra Ranges Website, under Local Laws - Open Air Burning. I hope you've marked Saturday 17 March in your diary for Selbyfest. Running from 11am to 7:30pm, it's one community event not to be missed. A great community event, held at the Selby Community House and the Minak Reserve (here). 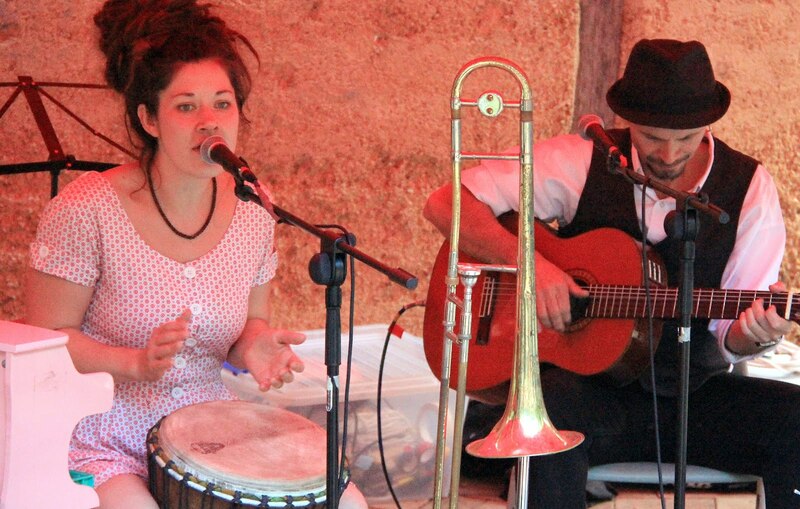 There's a great line up of local talent across 2 stages, market stalls, workshops, animals of Oz, circus, face painting, workshops, rocket launching and much, much more. 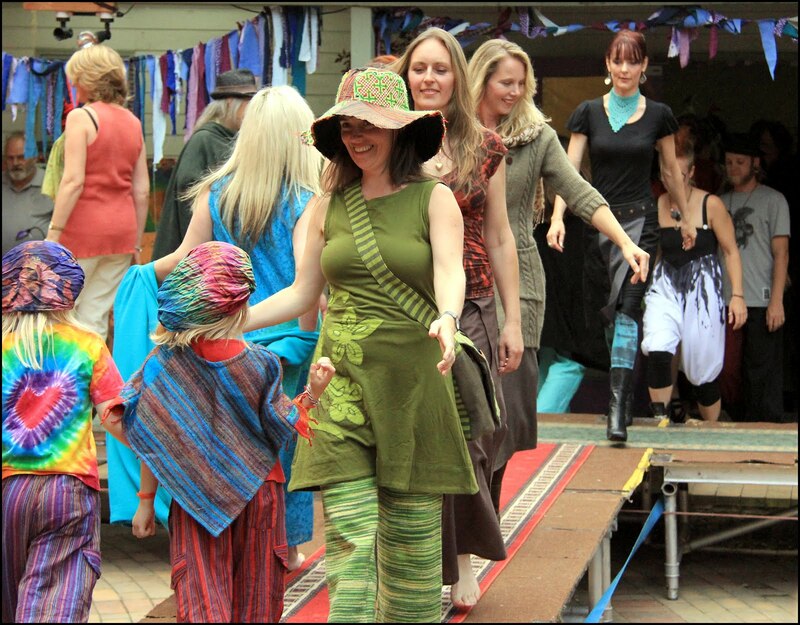 The not to be missed local fashion parade will be on again. There will be a shuttle bus running throughout Selby, stopping at Belgrave every hour (opposite the train station on Belgrave Gembrook Rd). It was terrific to attend the 're-launch' of the Friends of Belgrave lake Park this weekend. 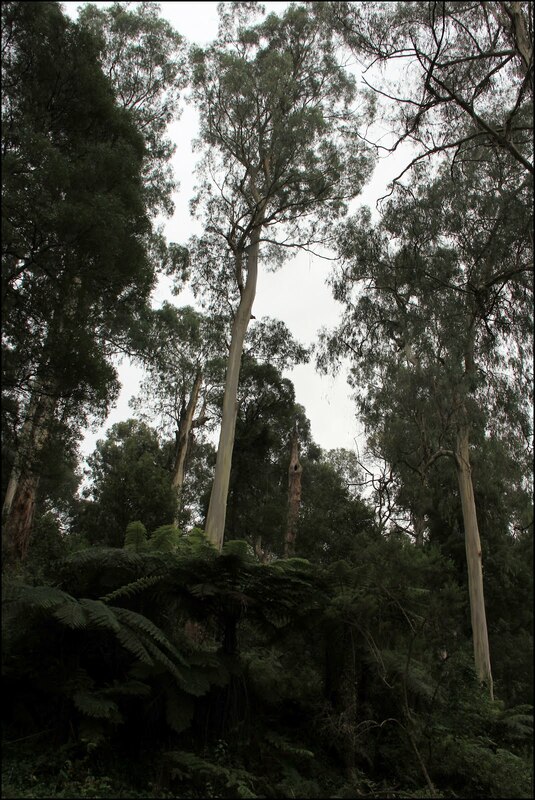 The park contains some very significant vegetation as well as the Monbulk Creek and provides an important wildlife corridor link from the Dandenongs to Lysterfield. Here I am pictured with Vicki Boyle, Vice President of the Southern Dandenongs Landcare Group and Garrique Pergl, President of the Southern Dandenongs Community Nursery, both of them environmental powerhouses of enthusiasm and knowledge about our local environment. Part of the day's activities included some revegetation along the banks of the Monbulk Creek. It will be terrific to watch this replanting take hold and create a healthier habitat for our wildlife as well as provide important bank stabilisation. Belgrave Lake Park provides some vital habitat for water birds in the area, significant willow eradication by Melbourne Water has seen a great improvement in the health of the creek and lake. The Shire of Yarra Ranges has been undertaking major weed removal works on the land between Monbulk Creek and private land holdings (on the high side). It's terrific to see indigenous plants return as the weeds that were strangling them are removed. Belgrave Lake Park has some important large old hollow bearing trees, they provide important habitat for animals that need hollows to make a home. 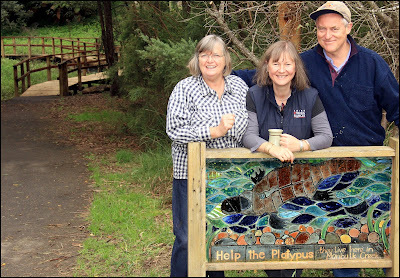 The Shire of Yarra Ranges supports over 85 Landcare and Friends of Groups. They do great work to enhance our natural environment. If you'd like to know more about your local Landcare or Friends of Group click here. Melbourne’s eastern suburbs cannot afford to wait another 10 years for the Rowville Rail link to be built, said Eastern Transport Coalition Chairperson Cr Samantha Dunn. Cr Dunn was responding to comments made by Transport Minister Terry Mulder following the release of the Rowville Rail Study, that a Rowville train line could not be provided for at least a decade. Cr Dunn said delaying the Rowville Rail Link for another 10 years would only exacerbate costs, road congestion and land use issues and called on the government to take the lead, work through the issues and get the rail line built. “This project has been shoved into the too-hard-basket for four decades by successive state governments who claim that it is either too hard or too expensive and now the Baillieu Government is talking about delaying for yet another decade,” Cr Dunn said. “The cost of congestion, through delays in delivery schedules and opportunity costs, has been estimated at $20.4 billion annually, of which $2.44 billion directly impacts eastern and south eastern Melbourne,” she said. “With its capacity to carry over 2,350 passengers per hour, the Rowville rail line would remove the equivalent of one lane of traffic from the Monash Freeway. This would provide substantial benefits to the delivery of freight through reducing overall traffic congestion. “Monash is one of Melbourne’s major universities and it is growing year by year. Students and staff need a fast, reliable, integrated public transport system – a sentiment that has been clearly stated at recent community forums held at Monash University. “Only last week, Auditor-General Des Pearson told Parliament that public transport patronage is expected to jump by around 70 per cent in the next decade,” Cr Dunns said. “He also estimated that capital expenditure on public transport would need to triple over the next decade to cope with this expected growth. The ETC is made up of seven eastern suburban councils, and represents the public transport needs of more than one million residents. Objectors to the McDonalds VCAT appeal will have just received notification of the hearing details. Tribunal Member, Deputy President Helen Gibson, has set aside Friday 30 March, 2012 for a Practice Day Hearing and allocated five days starting on the 6th August, 2012 for the actual hearing. What’s a Practice Day Hearing you ask? This will be used to decide how the hearing will run administratively, the tribunal will consider how much time is required, the venue size and location and any other things that relate to the conduct of the proceedings. The tribunal will take into account how many expert witnesses will present as well as set some expectations around community members speaking at the hearing and how that will be managed. Both McDonalds and the Shire of Yarra Ranges must attend the Practice Day Hearing, community members are also welcome to attend. Community members can also attend the hearing in August. VCAT received in the order of over 300 objections to the appeal. The Practice Day Hearing will be held at VCAT, located at 55 King Street, Melbourne. Start times for both the Practice Day Hearing and Hearing is 10:00am. Volunteers for this year's Clean Up Australia Day in Belgrave were very lucky the weather held out for them. Earlier rain did not deter people from coming out to help clean up Belgrave as part of this year's Clean Up activities. I had the job of the town park which had it's fair share of food packaging and beverage containers. Marina Dennis, coordinator of the Belgrave Trader's Association organised the day's activities. 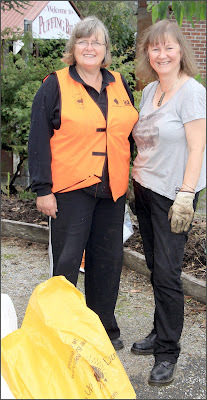 It's great to see the traders getting involved and really good to see Mikey from Belgrave Dry Cleaners and Glenn from Bell Real Estate getting down and dirty cleaning up Belgrave. At this year's Clean Up I picked up dozens of cigarette butts, they were everywhere. There was also a lot of fast food packaging and drink containers too. 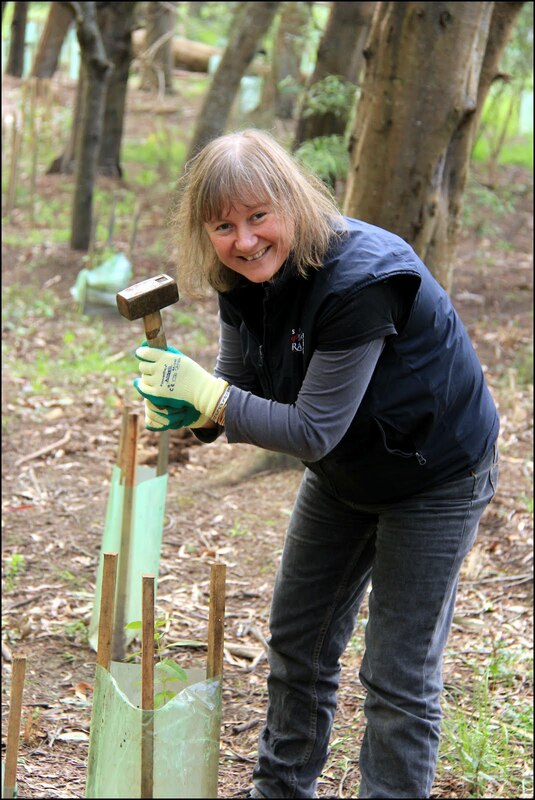 Vicki from the Southern Dandenongs Landcare Group was there lending a hand to make the Puffing Billy entrance more beautiful too. It's amazing what a small amount of people can achieve, but sad and frustrating that we still need to dedicate valuable volunteer hours to cleaning up because people don't dispose of their rubbish properly. Well done to all the volunteers, the town looks great! hail netting - are you with us? At this week's council meeting I moved a motion about hail netting and our planning scheme. My motion sought to obtain letters of support from MPs and Agriculture Associations to assist council in its efforts to see planning scheme changes via Minister for Planning, Matthew Guy. It was a follow on from the unfortunate comments made by Minister Walsh in relation to the Yarra Ranges Planning Scheme (see blog 5 Jan) and hail netting. 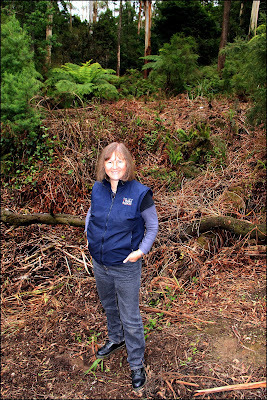 I thought it was important to continue to advocate for changes given the issue is an important one for growers in the Yarra Ranges and particularly while there's current government interest in the planning scheme. I've been disappointed by the government response which encourages council to undertake a Planning Scheme Amendment process, this is costly and time consuming and given we have already extensively consulted over this issue with the development of our Green Wedge Management Plan, it's an impractical and expensive way forward. The government's lack of response and support is disappointing given back in 2010 the Coalition (as well as the government of the day) supported key recommendations from the Inquiry into Sustainable Development of Agribusiness in Outer Suburban Melbourne, which deal with removing the requirement to obtain a planning permit to install netting (recommendation 39) and remove restrictions on the proportion of land able to be covered with netting (recommendation 40). The Inquiry showed these are issues much broader than Yarra Ranges and need addressing, it would be a very positive move of government to be proactive and act on these recommendations, they continue to be very important to Yarra Ranges growers. It was extraordinary to read that Minister for Planning, Matthew Guy, believed council had "again endorsed" our Horticultural Structures Policy in 2008 through Planning Scheme Amendment C81. C81 was a policy neutral amendment, what C81 did was restructure the Local Planning Policy Framework into an easier to follow format, eliminate repetition and rewrite it into plain English. It did not consider the policy content of the scheme, that was not the purpose of the amendment and the Minister should know that. We need to work together to get a good result for our growers, as a council we are willing to collaborate. We are well aware, as is the government, of what's required, we need to unite to see the changes we need in the Planning Scheme without the expensive and time consuming Planning Scheme Amendment process. I'm pleased to report councillors supported my motion unanimously, let's hope the local MPs do too. The Auditor General's report tabled in parliament is further evidence that more money must be invested in Melbourne's public transport network to meet present and future needs. In his report to parliament, Auditor General, Des Pearson, estimated that public transport patronage would jump by around 70% in the next decade. He also estimated that capital expenditure on public transport would need to triple over the next decade to cope with this expected growth. Communities in Melbourne's east have been crying out for better public transport for decades, particularly rail services, to provide affordable alternatives and to ease road congestion. The economic and environmental benefits of an extended rail network in the east are enormous. Feasibility studies are currently being carried out for the Rowville and Doncaster railway links, however it is crucial that government follows through on these projects. The cost of failing to deliver an integrated public transport system will be felt by the entire community through overcrowding on existing public transport, worse congestion on our roads and lost productivity. Traffic congestion around rail crossings has a real impact on the road system and also impacts on the ability for train services to run more frequently. We need to work toward an integrated transport plan that provides better links between rail, trams and buses and reduces our dependance on cars as transport in the east.